Microsoft's Surface tablets could already be considered warning shots across the bow, signalling that a change in strategy was underway. For anyone who was in doubt, however, CEO Steve Ballmer has clearly spelled out in a shareholder letter that Microsoft now sees its own devices as crucial to the company as anything else. There's a "fundamental shift" in how the Redmond-based crew works, he says, and investors should expect that Microsoft will periodically make "specific devices for specific purposes" (like Surface or the Xbox) that show off services in the best light possible. 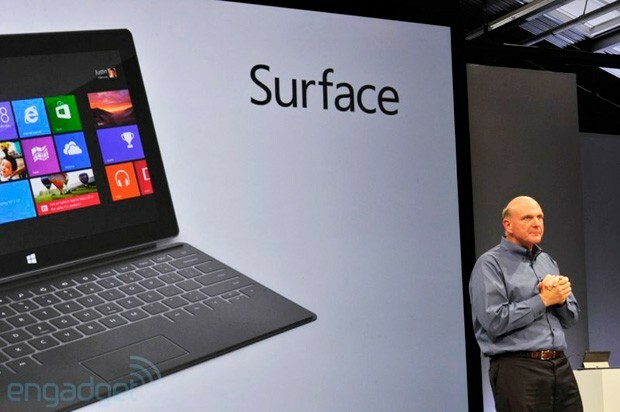 Ballmer adds that plans in the long run focus on new device types and learning interfaces. The message is ostensibly a rosy one for the company's future, but there's also a subtext for hardware makers that have complained about competing against their OS partner: get used to it. Ballmer sees Microsoft-designed hardware like Surface as complementary to what third parties do, and his company isn't about to reverse course anytime soon. Microsoft CEO Ballmer braces us for a 'fundamental shift' in strategy with more Microsoft-designed devices originally appeared on Engadget on Tue, 09 Oct 2012 19:28:00 EDT. Please see our terms for use of feeds.